Cycladia, has gathered for you a list of the best winter sports and activities in Greece taking place at some of the most remarkable locations. Instead of walking by the flowing rivers of Greece, get to know them while rowing an inflatable raft! 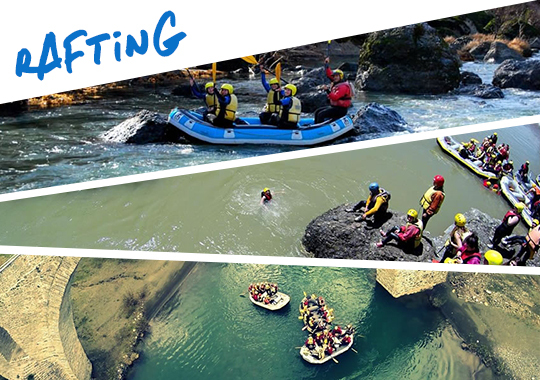 Rafting is a team sport which can make your winter vacation a bit more exciting! The Venetikos river at Grevena town of west Macedonia is one of the largest tributaries of the Aliakmonas river. The navigation at Venetikos river is truly impressive because of the old stone bridges that create a magnificent and picturesque landscape! You can choose one of its 2 most common rafting-routes; the difficult one, from Trikomo to Monachiti village or the easy one, from Eleftherohori to Agapi village. Aliakmonas river which is the longest river of Greece, is also located in the region of West Macedonia.Rafting in Aliakmonas river can even get more interesting and exciting as the rare species of birds found in the area may follow you during your rafting experience! If Aliakmonas river is not your cup of tea, then Lousios River and Alpheus Gorge in Peloponnese could be an excellent choice for your first rafting trip. Experience rafting while marveling the magnificent vegetation of Lousios River. HIKING FOR THE CURIOUS TRAVELERS! 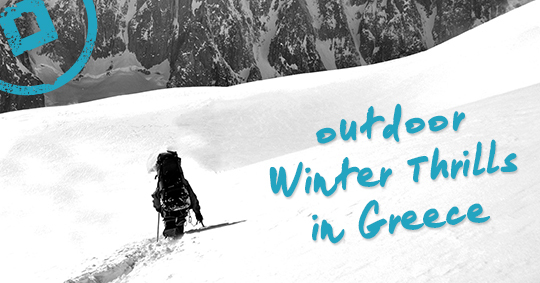 Discover the unique winter sceneries of Greece while hiking! Hiking at Voidomatis River, in Epirus. Commence your hiking route from Kleidoniavistas bridge and follow a simple trail to the charming village of Aristi in Zagorochoria of Epirus. The hiking path will lead you straight to the appealing deserted monastery of St. Anargyri where you can relax, unwind and take some beautiful pictures. Mount Parnassus in central Greece is another popular destination for those seeking beautiful trails for hiking throughout the year. Hiking in the pine forest of Parnassus will be a very interesting and motivating experience. Suggested route: begin your journey from the archaeological site of Delphi and end your tour at Livadi in Arachova. Taygetus is a mountain range in the Peloponnese also ideal for hiking. In Taygetus, you will find an ideal stone-path for beginners which connects the village of Anavriti with St. Ioannis. Pump up your adrenaline as you climb up the Greek rocks! Nafplio in the Peloponnese is a beautiful old town, appropriate for winter climbing. Climbing in Nafplio is a unique experience due to its scenic scenery combining an amazing sea view along with stunning sights. Another climbing destination and probably the most famous one in Greece is the island of Kalymnos in the Dodecanese. 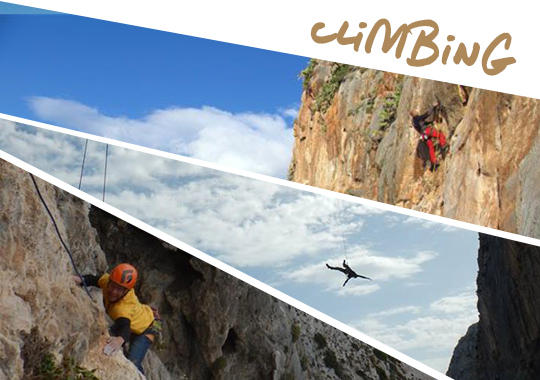 Kalymnos offers a wide range of climbing routes, such as Odyssey, Arhi and Grande Grotta crags, appropriate for climbing even in the winter season. A must visit for those craving for extreme sports! BIKING FOR THE AVID CYCLISTS! 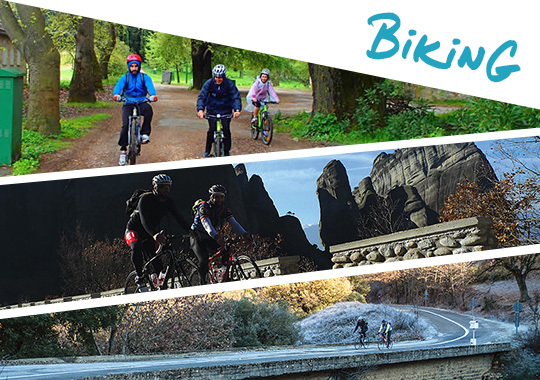 Discover the natural beauty of Greece while riding a bike! Meteora is one of the most remarkable monuments of nature, situated in Thessaly, Greece. Meteora is an impressive huge cluster of dark, sandstone rocks that offers a unique environment for cycling around and definitely a bike ride not to be missed by the avid cyclists! Tatoi, near Athens’ center, is among the most beautiful forests of Attica as well as a gorgeous destination for those who wish to live the biking experience, even if not familiar with the sport. Tip: Combine your ride with a visit to the former Royal Estate of Tatoi. Arakynthos is a mountain situated in the region of Aetoloakarnania in Greece offering remarkable cycling routes. Tip: take the road which starts from Ellinika village and reaches Trichonida Lake to unwind and marvel the panoramic views. BIRD WATCHING FOR THE FAUNA LOVERS! Get to know the feathery inhabitants of beautiful Greece! All you need is a pair of binoculars, warm clothes and of course…your eyes open! Kerkini lake is an artificial lake in Serres, Macedonia – Northern Greece, a protected wetland as well as the most easily accessible area for bird watching in Greece. The best time to visit Kerkini lake during the winter is between November and mid-March. Another favored destination for bird-watching is Dadia-Lefkimi-Soufli Forest National Park at Dadia in Thrace. It is one of the first areas in Greece to be declared protected due to its great heritage of flora and fauna. 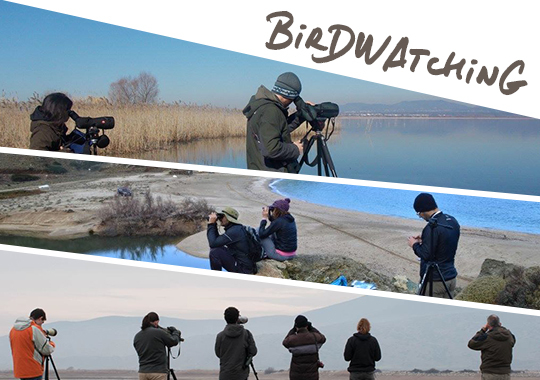 There you will have the chance to discover the secrets of the forest, enjoy marvelous landscapes and eventually enjoy one of the best bird watching experiences in Greece. Finally, at the prefecture of Thessaly and most specifically at the reservoirs of Karla lake, you will find one of the most treasured wetlands of central Greece. Dalmatian pelicans, pygmy cormorants and black storks are only a few of the many bird species that can be encountered in and around the lake. 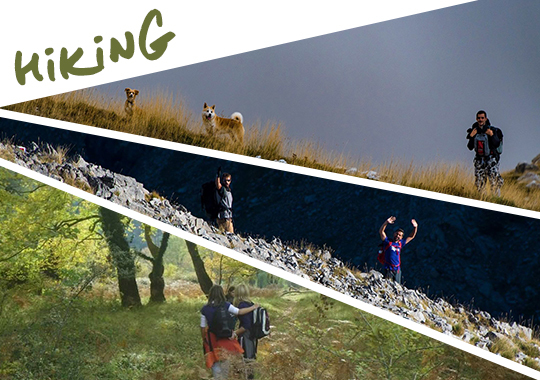 So…get closer to nature and enrich your experience and memories! Try to make the difference this year and get ready to explore Greece through the alternative perspective! This entry was posted in Destinations, Dodecanese, Extreme Sports, Peloponnese, Sport Activities, Tourism Insight, Western Macedonia. Bookmark the permalink.